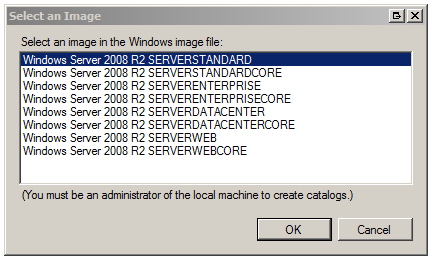 About eighteen months ago, I blogged about how to run Sysprep for Windows Server 2008 and this has turned out to be the most popular article on this site by a long shot, so I figured I'd update it for Windows Server 2008 R2 (and Windows 7). If you never had the need to look at Sysprep in Windows Vista/2008, you'll find that it's nothing like what you're used to on Windows Server 2003, XP, etc. The first step is acquiring the Windows Automated Installation Kit (WAIK) and installing it on a machine. It will run fine on a Windows Vista or Windows Server 2008 machine. You can get it from Microsoft's website at http://www.microsoft.com/downloads/details.aspx?displaylang=en&FamilyID=696dd665-9f76-4177-a811-39c26d3b3b34. Note: You may need to first create a catalog file before completing the preceding step. In order to do this, you'll first need to copy the install.wim from your installation media DVD sources folder to the hard drive as the tool won't work with it if it doesn't have write access to the WIM file. 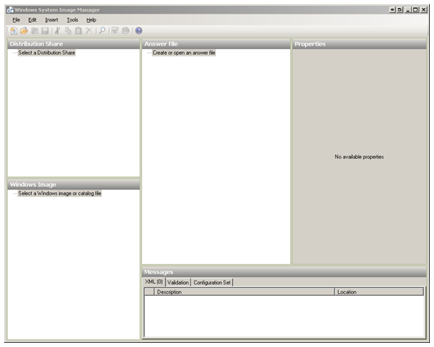 You can then go to Tools>Create Catalog and create the catalog file. 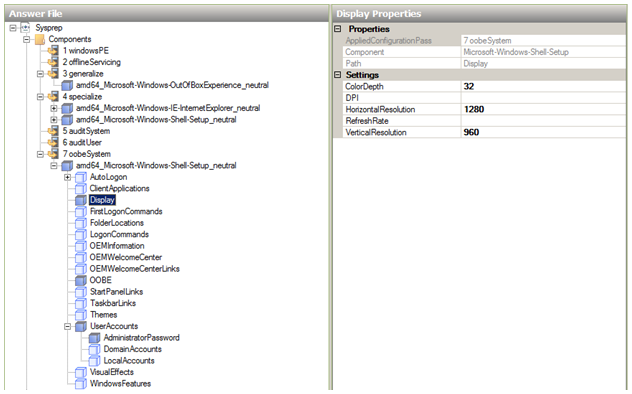 All of the settings you will want to setup in your unattend.xml file are in the tree under Windows Image. 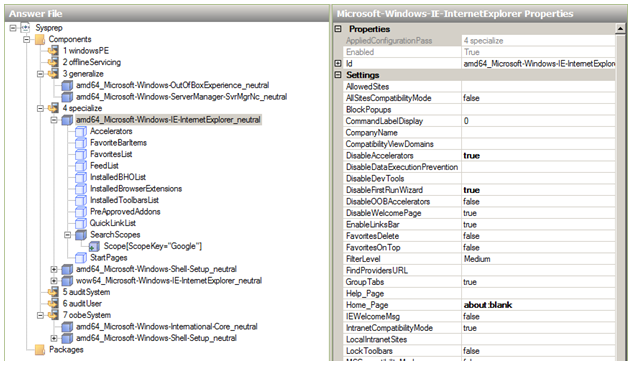 The documentation for all the settings can be found in the Unattended Windows Setup Reference CHM file which ships with the WAIK. 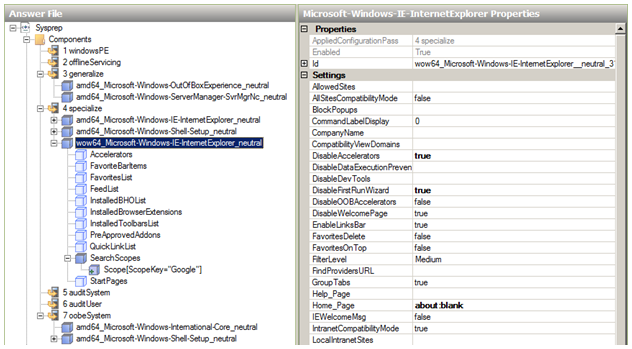 This link http://technet.microsoft.com/en-us/library/cc749272(WS.10).aspx shows a mapping table between the sysprep.inf file and the new unattend.xml format. This link is for Windows Vista but it still applies. 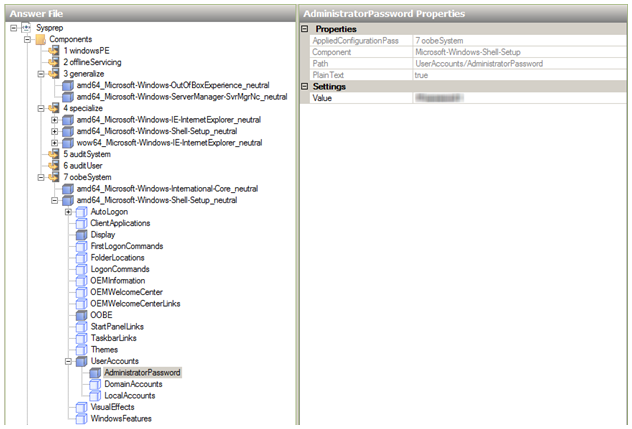 All of the various settings can be applied during different passes of the setup process which sysprep will trigger. You can read about these passes here. 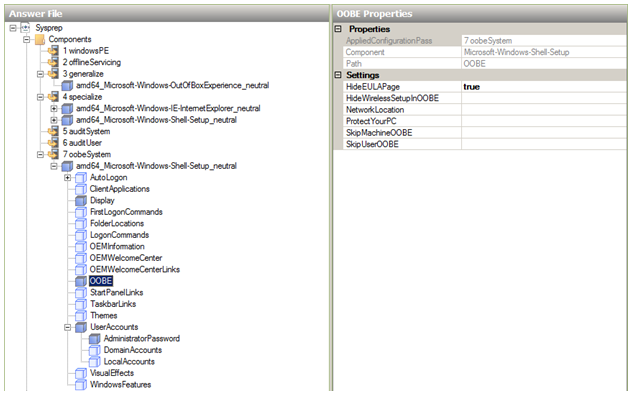 I built a simple unattend file just for sysprep'ing my base image which includes settings in the generalize, specialize, and oobeSystem passes. All of the settings I chose are outlined below. Note: To do this, you should right click on SearchScopes and Insert New Scope. One of the things that's unlike Sysprep from Windows 2000 – Windows Server 2003 is that the unattend.xml file isn't deleted at the conclusion of the Sysprep process. 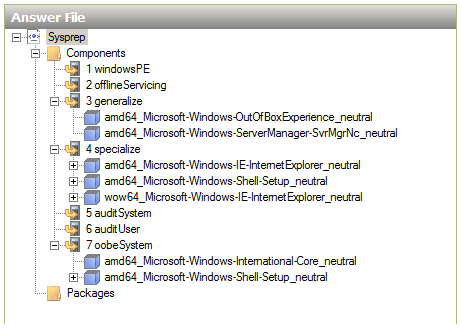 The down level Sysprep deletes the c:\sysprep folder when it finishes. In order to replicate this functionality, you can put a command in to delete the unattend.xml file in the SetupComplete.cmd batch file (which must be located in c:\windows\setup\scripts\) which gets called at the end of Sysprep. In order to run Sysprep you'll need a new command. The old Sysprep UI that was there in Windows 2000 - 2003 doesn't really exist anymore. All of the Sysprep command line switches are documented at http://technet.microsoft.com/en-us/library/dd744330(WS.10).aspx. Published October 04, 2009. Last Updated June 28, 2014.